Celebrating a 50th Anniversary isn’t an option for most rock ’n roll bands. Not to mention being inducted into the Rock & Roll Hall of Fame shortly before said Anniversary. So it comes as no surprise that part of the celebrations would include the release of tribute albums. Considering that many of a band’s classic songs were likely recorded 40-50 years prior, one could make a case for it being high time for a revisit of that original material. And that’s the spirit upon which “Yesterday and Today: A 50th Anniversary Tribute to Yes” was made. Conceived, produced and arranged by Dave Kerzner and Fernando Perdomo, this 13+ song trip down memory lane includes a wide cast of players, including a good chunk of YES themselves. 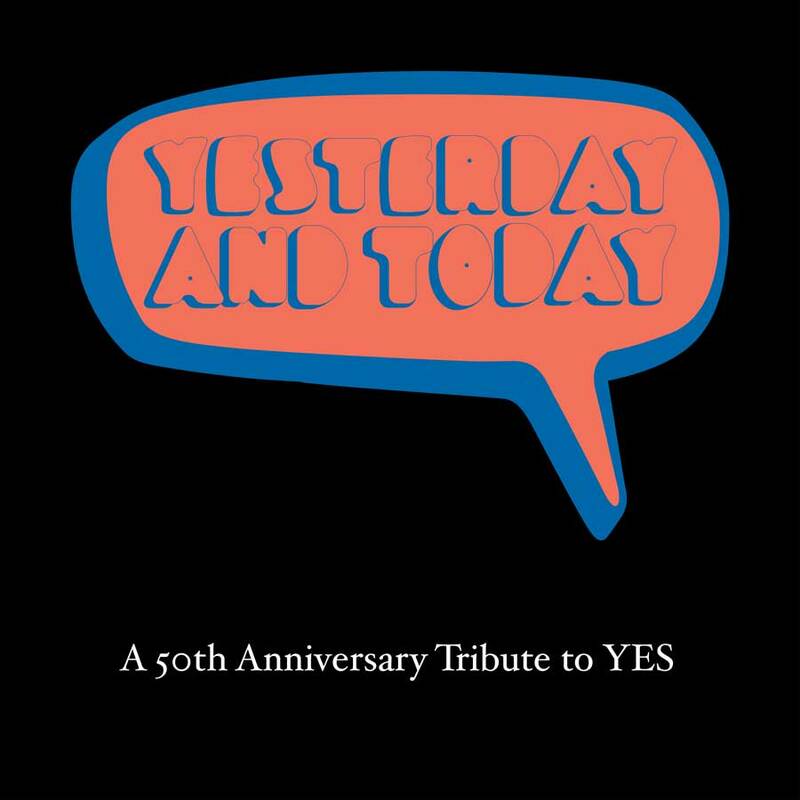 As most fans are aware, the YES drama has literally split the band into 2 versions of themselves at this 50-year point, thus the Anderson, Rabin and Wakeman brand of YES is not personally involved with this tribute, though much of YES “Official” is. But what is most predominantly represented, regardless of the particular musicians involved, is the love for this music which has established itself as the benchmark against which most other “prog” is judged. Tribute songs can go in two general directions: the faithful note-for-note recreations of the original material, or radically different approaches to the arrangements which re-invents the music. The former approach can lead the listener to think, “Why do this in the first place? I’d rather listen to the original band,” while the latter can lend itself to unrelated tangents which make the source music unrecognizable. Which approach you prefer is a subjective call. For example, drummer Nick Mason recently remarked that he’d much rather listen to “Dub Side of the Moon” (and yes, that’s not a typo) than to The Australian Pink Floyd Show, though the Aussies are his favorite tribute of his band’s material. What we have in “Yesterday and Today” is unquestionably closer to the accurate recreation route: about 95% of the album is a note-for-note replication. What Kerzner & Perdomo’s version has going for them is a surge of passion and accuracy that makes these songs feel fresh and exciting again. The players on the album are excellent and the love that everyone holds for the music is undeniable. By the end of spinning “Yesterday and Today”, the listener will likely have their faith re-affirmed in the band itself, a most fitting goal for any “tribute”. Fortunately, the track listing is intriguing. Taking a wide range of material from the YES debut in 1969 through Big Generator in 1987, we have a setlist which contains favorites and rarities side by side. Thankfully the band’s two biggest hits – “Roundabout” and “Owner of a Lonely Heart” – are eschewed and they are not missed. We start our nostalgic stroll with two hard-hitting classic mini-epics that were the lead-off songs of their own albums: “Machine Messiah” from Drama and “Yours Is No Disgrace” from the Yes Album. On both songs, the majority of Howe’s guitar parts are very ably covered by ace Johnny Bruhns, who fluidly hits the nimble runs which could trip up less seasoned guitarists. The vocal duets are sublime: a dream team of Nick D’Virgilio and Randy McStine cover the paired vocals of “Machine Messiah” with perfection, while Marisol Koss and Dennis Atlas nail “Yours”. It’s a sigh of relief to hear the vocals of Anderson / Squire / Horn / Howe so well tended to. Monster drummer Joe Cass gets his spotlight moment on “Machine” which kicks off the album with a take-no-prisoners attitude. Meanwhile, Yes-men are well represented: original Drama keyboardist Geoff Downes reprises his role on “Machine” while Tony Kaye does the same for “Yours”. Current YES band members Billy Sherwood and Jay Schellen assure that the rhythm section of “Yours” is explosive, and Billy’s performance especially reminds us of Chris Squire’s brilliant role in the band. After an exciting – if overly-faithful – beginning, the album gets emotional with three ballads, starting with an abbreviated version of “Turn of the Century” delicately performed by Celestial Fire’s Sally Minnear and David Bainbridge. It’s a very satisfying two minutes, reminiscent of the Annie Haslam / Steve Howe version offered on the “Tales From Yesterday” tribute. We then retrace all the way to the first Yes Album for an unlikely choice of “Sweetness” which turns out to be one of the highlights of the album, largely thanks to Pat Sansone of Wilco who delivers an outstanding vocal tour de force. He probably could have sung on the entire album and killed it. Perdomo’s production and playing is off-the-charts, providing a lush backdrop which crystallizes the sweetness pouring out of each note, and then topping it off with an extended luscious guitar solo, one of the few liberties taken on the whole album. We segue into some close to the edge atmospheres as Kit Morgan’s nylon stringed guitar offers a sweet intro to the classic “Soon” excerpt from “Gates of Delirium” which is covered by the band Curved Air along with Kerzner and Perdomo in support. When Sonja Kristina enters on vocals, tears may be shed. This dreamy rendition is another highlight on the album, despite more reverb than is needed on the vocals. It develops warmly right through the grand finale with its mystic progression. Back to the rock side of Yes, “Cinema” is a welcome choice with a truly all-star lineup of Steve Hackett & Randy McStine on guitars, Kerzner on keys, Marco Minnemann on drums and Sherwood on Squire-styled bass. Fantastic. We then aptly go into “Changes” which brings in former YES keyboardist Tom Brislin on piano, as well as the phenomenal drummer Derek Cintron. Robert Berry’s lead vocals provide a satisfying edginess, but which unfortunately don’t pair quite as well with Sherwood’s chorus vocals. It’s nice to get the authentic marimba in the intro from Hal Rosenfeld, too. A really rare choice is up next with “I’m Running”. Although a fantastic song, this is one of those moments where an alternate version could have been much more fun, perhaps a full-on calypso arrangement for example. There’s just nothing very remarkable about remaking this song, and giving Sherwood the lead vocal spot doesn’t lend any extra energy, either. Backup vocalist Robin Schell’s excellent Anderson moments are too few and far between in the mix. An acoustic medley of three classic YES songs sung by Jon Davison is a well placed pit stop. With Johnny Bruhns back on guitar, Sally Minnear and Robin Schell on backing vocals, and Kerzner and Perdomo covering everything else, we are in good hands for a lovely float down the clear ballad waters of YES , sharing their wonderous stories. Concluding this portion of the album, we reach the title track “Yesterday and Today” lovingly sung by Dr. Danny (Danny Ayala) with Perdomo’s lush supportive arrangement in the background. We wrap up the tribute with three classics. “Long Distance Runaround” has a punchiness to it thanks to District 97‘s Leslie Hunt’s vocal delivery and Jonathan Schang’s excellent drumming. Its companion piece, the Squire-penned “The Fish”, comes alive in the hands of Sherwood / Cintron / Perdomo amongst others for a surprisingly engaging rendition. Fernando’s little guitar fills here and there take it up a notch, making this a welcome addition. “Starship Trooper” rightly closes the album, blessed with Francis Dunnery’s fantastic guest vocals mixing with Robin Schell’s. During the finale of Würm we are treated to dueling guitars from Dunnery and Perdomo, an excellent climactic ending. 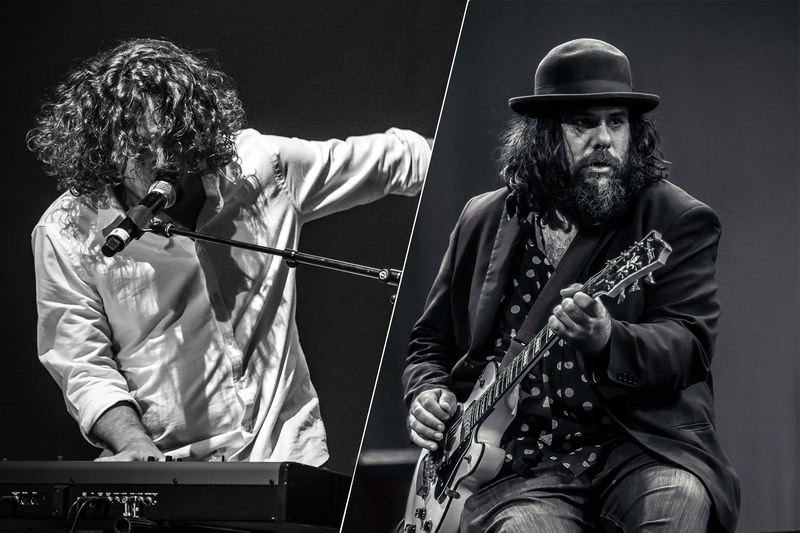 Throughout the whole album, Kerzner and Perdomo play a host of instruments and backing vocals to ensure that the finished product sounds as rich and rewarding as possible. Hats off to them for pulling it off with such style, especially as tribute albums like these are squeezed in between their own careers of original album releases. They truly are two of the hardest working musicians in the rock world today, and it is somewhat of a miracle that they even found time to create this tribute, ostensibly done during the hours that most of the rest of us were sleeping. “Yesterday and Today” offers a loving tribute of the past, one which deserves to be celebrated. You can order it here, or directly from Kerzner’s Bandcamp page, where you can get two excellent bonus tracks, as well. The bonus tracks are original instrumental music “inspired” by YES , which are fantastic in their own right. Happy 50th birthday!